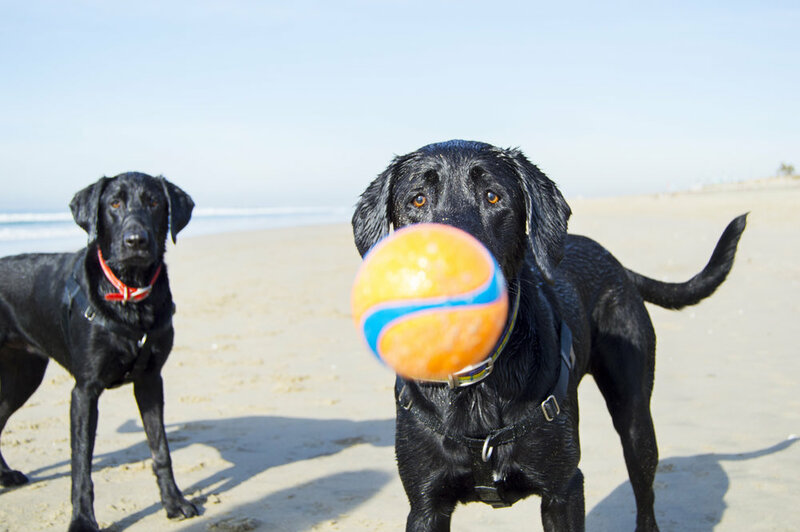 Nelson and Wallace love the beach and are always happy to go and play with their ball! They are true Labradors and all they need is their ball and someone to throw it. Happy lovable lab bros.
One thing that is a perk with their ball obsession is that they will always look at the camera if you have that ball. It is a great motivator and they end up enjoying having their photo taken more. I always enjoying watching these 2 have a blast running around and it's great to have models that enjoy being in front of the camera! Note: If the dog isn't enjoying a session I always try to change it up and make it fun for them rather than constantly having to stop, sit, stay, repeat. I want the dogs to have just as much fun during the session and make them as comfortable as possible.